OK, here's my own BigWig. It was a lucky ebay find from Vintagecorp/Japan. The car is in very good condition, all I had to do was paint the driver. Not that I really had the funding, but I asked myself if it could be faster than the Supershot. I concluded no. I couldn't see any real differences, other than mere looks and styling. 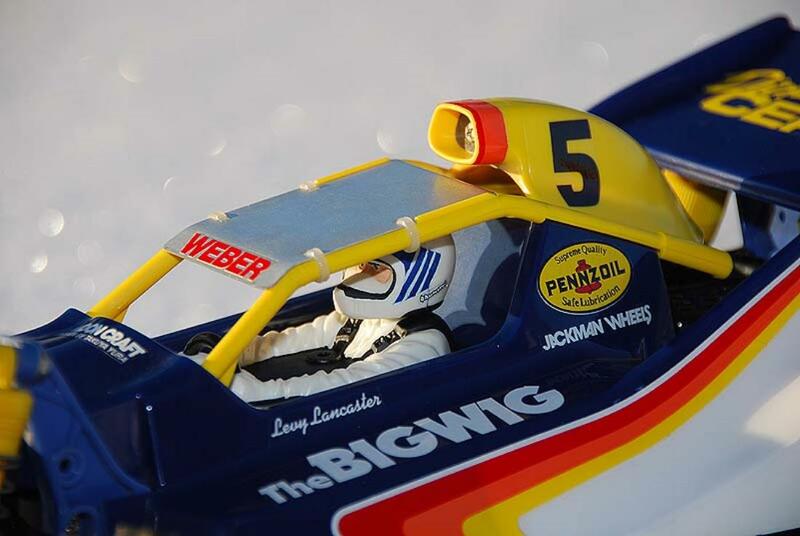 Also I didn't find 'Wig' to be a very cool name for a racing car! :-) It also looks a bit 'bulky', whilst the Shots were more 'sleek'. Looking back now I see that the pionion & rack steering on the BigWig was a big improvement though! As the Supershot had an insane amount of bump steer! 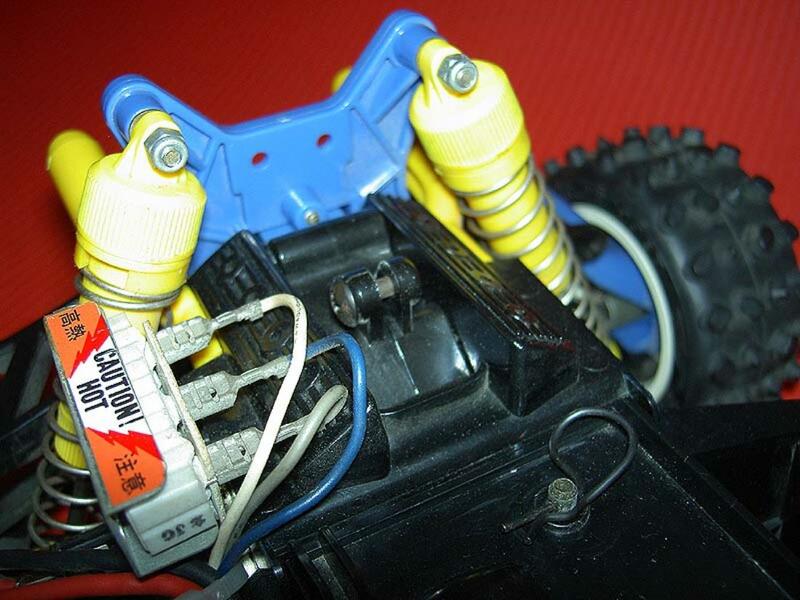 This was Tamiyas first off-road car to sport this steering solution. Also it was much easier access to components of course than in the previous Hotshot and Supershot. The wheels were one piece aerodish wheels, which has been widely used by many brands since. 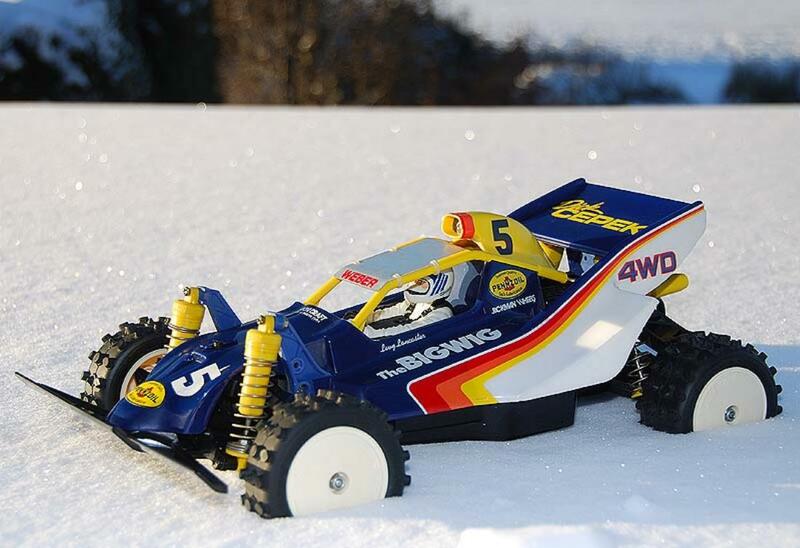 This is the car that Petter Solberg, the norwegian WRC rally driver, won the norwegian Tamiya Cup with back in 1987! Check out www.ymr.no/historie.htm and scroll down to the year 1987 to even see the video! You will then see him and his older brother, Henning, which also is a WRC driver. They comment that they had stripped away all uneccesary bling from the car in order to save weight! Serious boys!!! Thx! One of the stickers says 'MoonCraft', so I thought a moonlandish scenery would suit it! Nice bigwig,will probably be my all time favourite car. 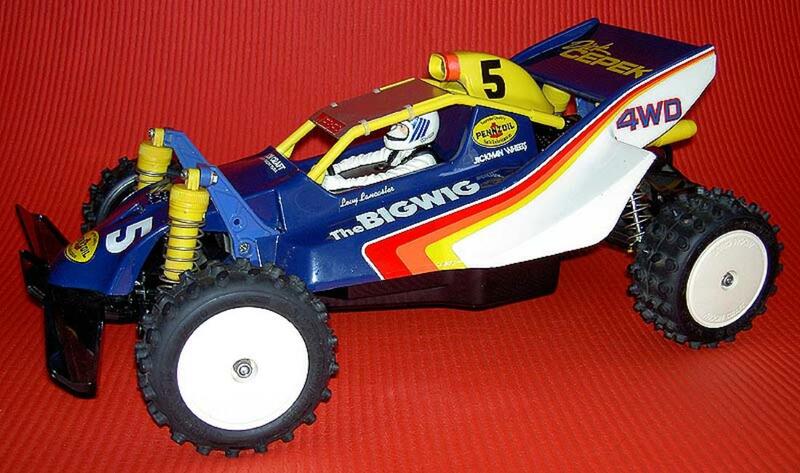 I have to agree with you about the name though, not one of Tamiya`s best. 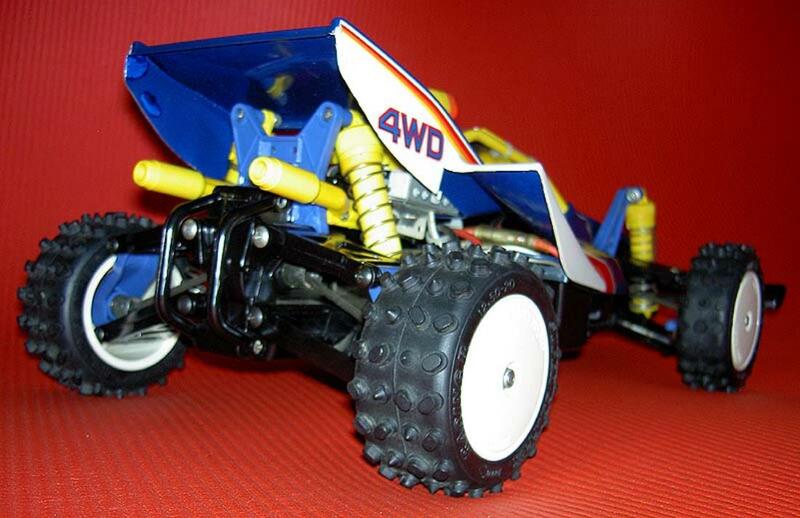 Nice pice here,this came out when i hade my falcon and still to this day its a great looking buggy. I recently got one of these in a trade. And you know, previous to know anything about Takuya Yura, the RZ technigold motor, and the real sized versions of these ones in the Pikes Peak International Hill Climb race, I used to think it is such an ugly buggy. 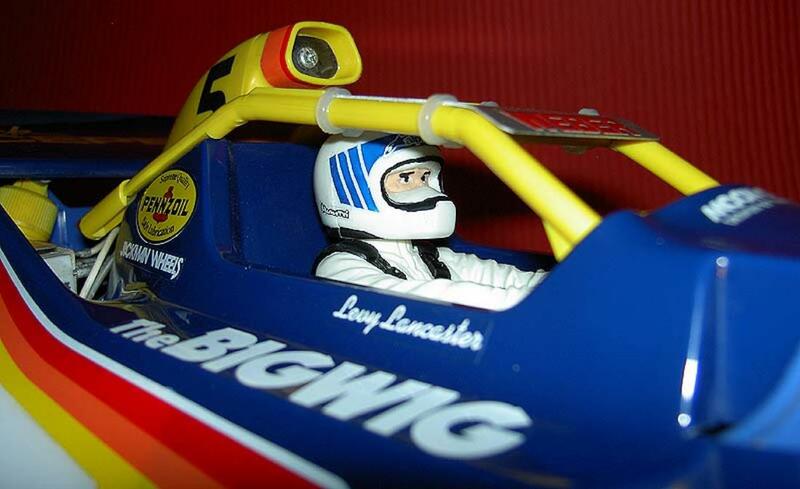 But I guess learning that there are real-sized cars on which these models were based had some effect on my taste. And now I love these. It's a buggy with such a personality! 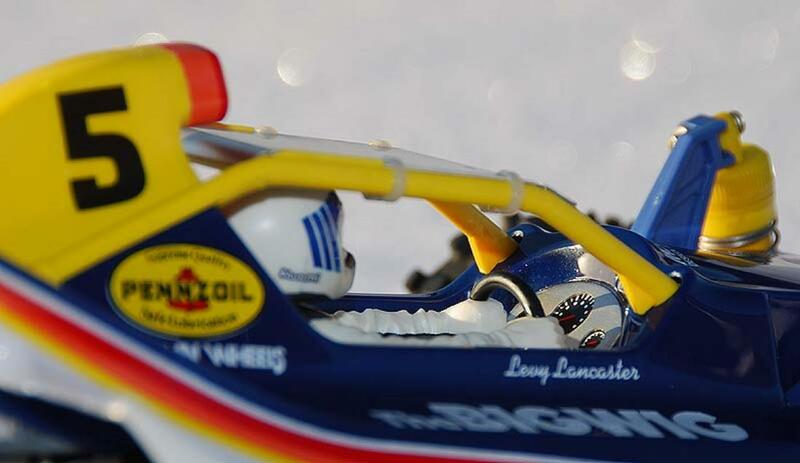 The Tamiya's 30th anniversary car is not at all an ordinary buggy. It may look strange for some people out there, but that's because we've rarely seen one of the ones that used to race at Pikes peak. I love the Big Wig. And your example looks ACE. Congratulations! Hi, although I do not understand a $@#@*-word Norwegian, your RC-history site is really cool and perfect to dream away on a lazy evening. Brilliant Biwig as well, btw!! Great Pictures of a great Car! And i love the website [Click here] Great and thanks for sharing! Buy the way: you dont have any comments... you have to click the grenn arrow on each Message you get to activate them! Sorry, didn't know I had to 'approve' the comments... *blush*. Thx for the tip!!! Love this buggy...Don't loose it in the snow !!!! Du har flotte beskrivelser, og en fin samling. Både av konkurransebiler og klassikere. Jeg må visst gjøre ferdig Bigwigen min.